The Great American Eclipse is coming August 21, 2017, and Southern Illinois is the perfect place to experience it. While a large portion of the country will be able to see the first total solar eclipse in 40 years, Southern Illinois will experience total darkness longer than anywhere else in the world. Two of our Illinois Bed and Breakfast Association properties will be along the path: Kite Hill Vineyards and Boars Nest B&B. The eclipse—which occurs when the sun is blocked by the moon—will travel in a 100-mile wide path, crossing over the United States in an arc that begins just off the Oregon coast north of Newport and continues through Idaho, Wyoming, Nebraska, and Missouri before entering Illinois. If you want to enjoy this phenomenon, Southern Illinois is where to go —specifically Murphysboro, Makanda, Carbondale, and Marion. (After leaving Illinois, the eclipse passes through Tennessee, Georgia, a corner of North Carolina, and finally South Carolina). Southern Illinois University (SIU) in Carbondale is hosting several events for the eclipse, most notable a public viewing at the football stadium. There will also be talks and presentations, tailgating, and indoor viewing. Another event, planned by the Astronomical Association of Southern Illinois, will be held at Giant City State Park in Makanda. 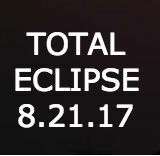 If you plan to take part in either viewing, be sure to wear special eclipse glasses (available at all campus events) to protect your eyes. Prior to the eclipse passing, visitors will find a bevy of activity in Carbondale beginning on the weekend, including outdoor concerts, carnival, craft fair, and Eclipse Comic Con. For those interested in lodging in the area, Kite Hill Vineyards is just a 10-minute drive from the SIU campus and offers two en-suite rooms with a full three-course breakfast. The pretty setting has a five-acre lake and is on the Shawnee Hills Wine Trail. While at the winery, enjoy a sampling of their wines, which include a wide selection of reds, whites, and blush, ranging from dry to sweet. The tasting room is open Thursdays through Monday. Boars Nest Bed & Breakfast (pictured), also on the wine trail, has five cozy cabins set in a wooded area in Cobden, Illinois; less than 10 miles from Makanda and about 15 miles from Carbondale. Both bed and breakfasts are members of the Illinois Bed and Breakfast Association and offer a unique lodging experience! 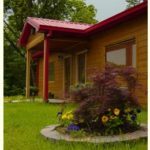 This entry was posted in Illinois Bed and Breakfasts, Local attractions, Special event and tagged Illinois Bed & Breakfasts, Illinois event, Wine trail by admin. Bookmark the permalink.